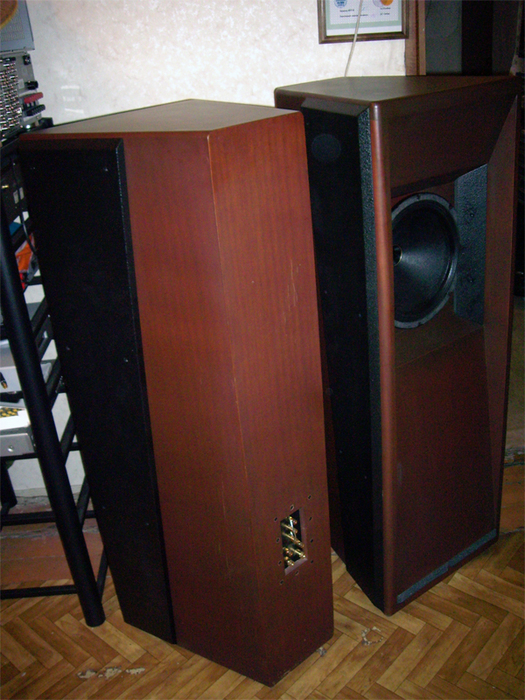 If you dig deeper into the old junk that is in every house or dacha, it is likely that you will find there old speakers or speakers with a broken chassis. The first thought that comes to mind - to get it. But do not rush to do so! After all, you can give the old speakers a second life. First of all, decide what material you will make the case for dynamics. For this role will be suited wood, plastic or plexiglass. You can also combine these materials. For example, make a wall of wood and the front side made of Plexiglas. Wooden plates it is best to choose one piece to make it easier to handle them. Decide the future size of the box for the speaker. Of course, that the body should be more dynamics. It is also worth considering that will need space to neatly stow wire. Remember - it doesn't pay to skimp on. Make a detailed drawing on paper. This will save you from a heap of broken material. Now take the leaves of the tree. 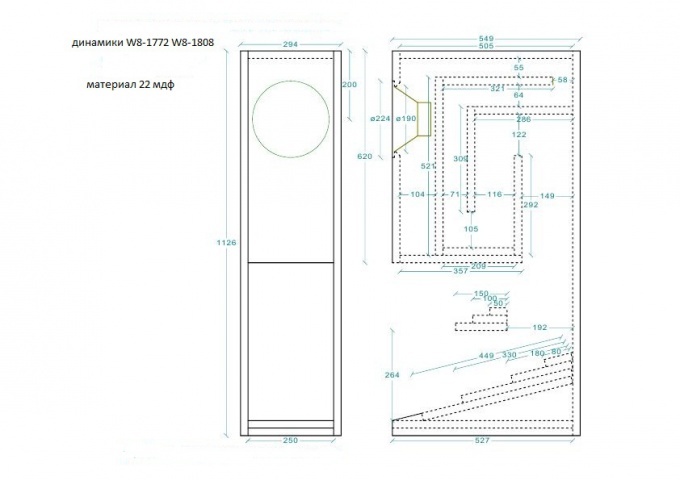 Space future housing parts according to the drawing. It is best to cut out each detail one-piece. Then your speaker will look good, also it will be more durable. In the marking process you can make mistakes, so the final contours of the circle in red pencil or marker. Now carefully cut all the parts on the red outline. In order to make round holes for speakers, use an electric jigsaw. Then treat the edges so they were smooth, without burrs. Use sandpaper small caliber. If necessary, walk on the surface of parts. They should be flat and smooth. When all the details are ready, do a preliminary fitting. Make of them future of the box. All the parts have to fit to each other, there should be no gaps and distortions. If everything fits perfectly to each other, we can begin to assemble. There are many variations of the fastener parts together. You can use a small clove. Nail should be very careful carnations went sideways and struck the wall parts. Also promazyvanie joints with glue and sealant, then the sound waves will be distributed only within the housing. Then let the glue or sealant to adhere. The body is almost ready. Attention must now turn to his appearance. You can varnish, and you can sheathe or carpet cover with leather with beautiful stitching. To strengthen the material and it is best to staples. While carefully fluff the material with glue so it does not stood out and were exactly on the part surface. Unleash your imagination and decorate the box to your taste. It only remains to put inside the speaker and place the wires neatly so they don't hang out. Work on the balcony or in the garage, so as not to litter.